Ofcom has decided against an investigation into YouView, a decision that will leave the likes of Virgin Media and Sky livid. Ofcom had considered launching an investigation into YouView – the IPTV proposition from a group of Britain's most recognisable broadcasters and ISPs – but has decided against it. This will attract the ire of Sky and Virgin Media, who had both been hoping that the communications watchdog would decide to change what YouView could offer. That could have meant anything from pulling the plug on the project to forcing the partners to relinquish control of the user interface, one of the more contentious issues. 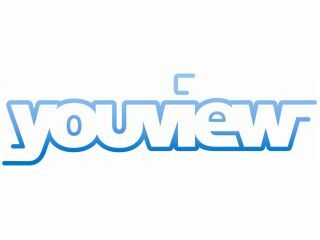 YouView welcomed the decision to not interfere, after a delayed decision was finally published following a week of upheaval for Ofcom. "We have been clear throughout this process that YouView will stimulate competitionin the TV platform marketand create opportunities for content providers and device manufacturers," said YouView CEO Richard Halton.
" Most importantly it represents a great consumer proposition. We therefore welcome this decision from Ofcom. "In a market dominated by pay services, we are creating the only mass market IPTV service that will be subscription free. All our efforts are now focused on launching a brilliant consumer productfor launch next year. "We look forward to broadening our engagement with wider industry partners over the coming weeks and months." Halton has worked hard to build bridges with Sky and Virgin, although their anger at Britain's biggest broadcasters, including the BBC, getting together to create what will be viewed as a rival platform is clear. As Halton's last comment suggests, however, there is still hope that the Sky Player – its own IPTV service, could eventually make its way onto the platform; something that neither party has ever ruled out. The BBC Trust deliberated for a long time over the BBC's involvement before deciding it was okay, and with Ofcom now deciding it will not get involved, the chances of preventing the arrival of YouTube in 2011 appear to have gone.